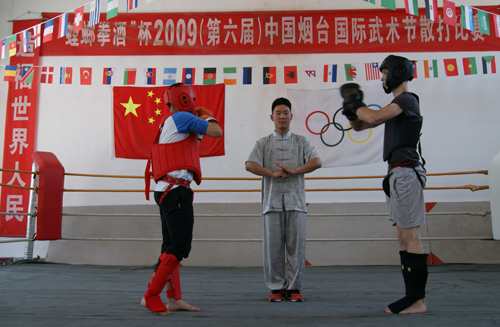 Master teaching Sanda with translator. 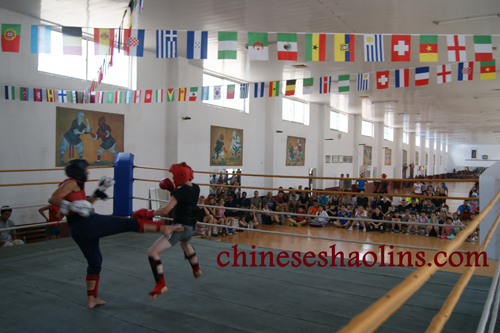 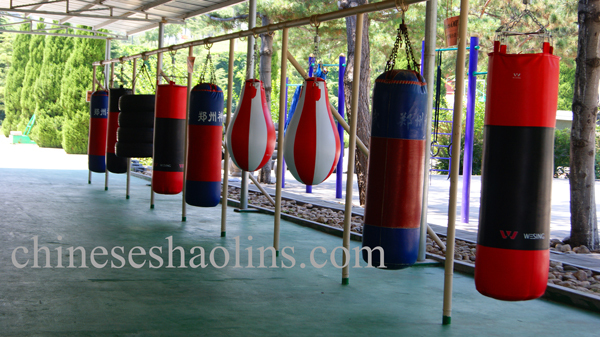 Female students training Chinese kickboxing sparring and self defense. 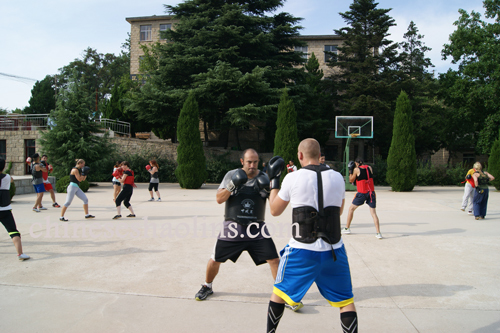 Students practicing Sanda real combat skills. 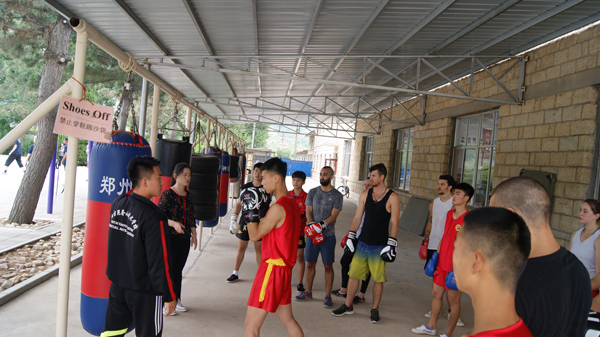 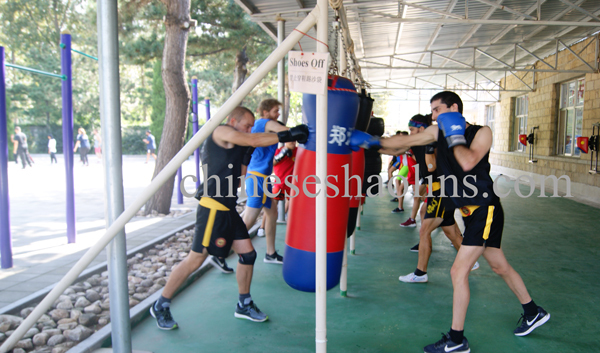 Chinese kickboxing training in academy.